You can find a high resolution version of the melancoil tree (2000x2000px, first 1000 numbers) here: PNG, SVG, HTML. There are many libraries in Python that can handle network graphs; for this tutorial I’ve chosen NetworkX, which is quite easy to use. The first step is to create the graph, which can be done by simply adding the edges; this will also automatically add all the nodes. The code below is used to calculate the Melancoil tree, as discussed by Matt Parker in an episode of Numberphile. The algorithm to generate them has been discussed in the tutorial Recreational Maths in Python. 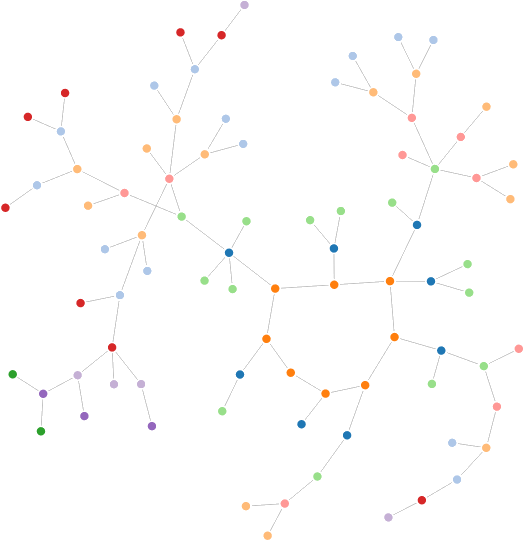 The result is a directed graph which represents how the non-happy numbers are connected. 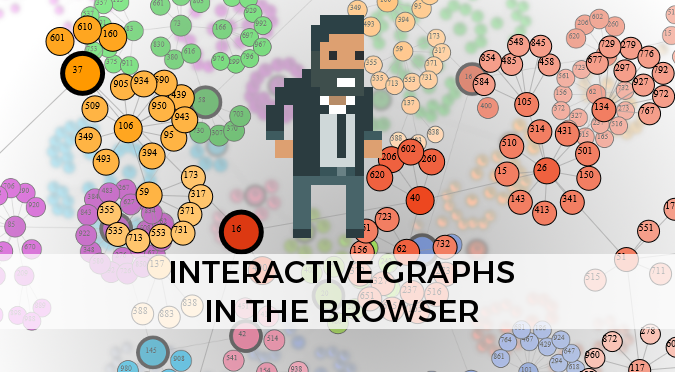 The graph reacts to drag events and looks quite nice. Once the Python Script is closed, the HTTP server becomes unreachable; however you can simply copy the “force” folder onto your website and it will work just fine. Both colour and group are properties that have been initialised by the Python script. The former indicates the base colour of the node, while the latter counts how far the node is from the melancoil loop. The first change we need to do is to add labels to the nodes. In order to do this we have to create a container node which will host the circle and the text. My Networkx is version 1.11, all other modules import just fine. Am I missing something? I don’t see the entirety of code to produce the graph. Where is the is_happy def defined? This link (https://www.alanzucconi.com/2015/11/03/recreational-maths-python/) gives multiple versions of is_happy, none of which seem to work with the other code in this page. The article shows how you can improve the function in different ways, based on your needs. This is why there are multiple versions of the same function. It is hard to tell what is not working, because I don’t know how you have pasted the code. Is the function by itself working? Also, check the indentation, which can get messy when copying Python code from web pages.